@CariChampion is joined in her Uber with NBA rookies and vets for unfiltered convos on music, culture and of course basketball. In the first installment of ROLLING WITH THE CHAMPION, @CariChampion is joined in her Uber by Lakers rookies Lonzo Ball and Kyle Kuzma to talk new fame, rappers, and freestyling before getting them to their final destination. NBA veteran Paul Pierce hops in Cari Champion's Uber to reveal his thoughts on today's players, the King of the league, and the long-standing Celtics–Lakers rivalry. 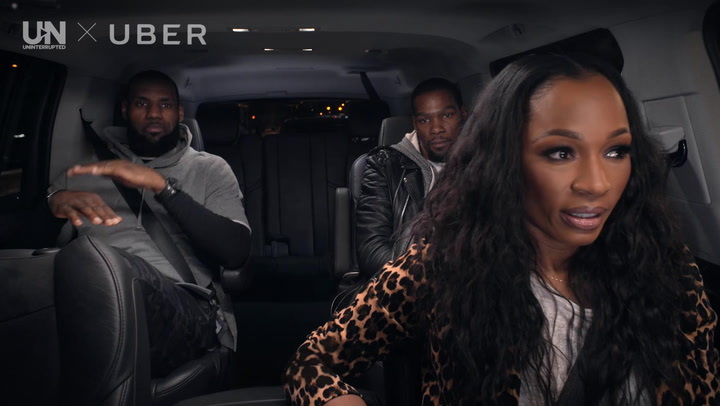 LeBron James and Kevin Durant join @CariChampion for the Uber ride of a lifetime in Akron, Ohio to discuss NBA All-Star Weekend 2018 goals, the pressures of being a top athlete, social injustice and the current climate in politics.